Stand up comedian and TV host Okey Bakassi has come out to set the records straight after close watchers on social media misconstrued a conventional sign made by him to mean that he is a member of the illuminati. According to the humour merchant and entertainer, he has no business with the Illuminati despite posting a picture showing him throwing up one of their very popular signs. 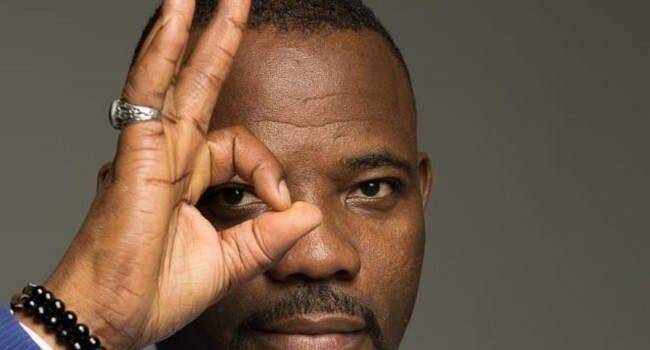 In a post on his verified social media account, Okey Bakassi said he shouldn’t be misinterpreted for throwing up the sign because it is a conventional sign for the word OK. He wrote; “I see you…It’s Ok with you, my wonderful friends, family and fans. #dontworry #behappy #toronto30thjune. Note: I have no business with Illumina…whatever. The hand sign is a conventional sign for “Ok” 👌. “If it means something else to you or your group, it’s your business,” he added. The development comes days after Okey Bakassi reacted to the outcome of the gubernatorial election in Imo state. According to the comedian, Imo has been liberated and congratulations are in order to the new governor-elect, Emeka Ihedioha who won the race against the incumbent governor, Rochas Okorocha’s son-in-law, Uche Nwosu.